Is the siding of your house falling off, or perhaps that old wood siding is rotting? Or do you simply wish to have new siding installed on your new New Orleans home? Whatever the case may be, our New Orleans siding contractors can help you with any siding project from siding installation to siding repair. Siding is to a house as skin is to the human body. 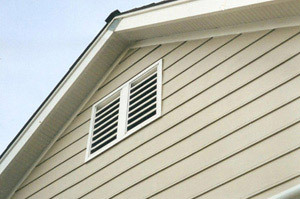 Siding protects the house against the elements and pests. It helps prevent moisture penetration and the growth of contaminants such as mold, dust mites and bacteria. The siding you choose for your New Orleans home deserves careful consideration. At Lowe’s Construction, LLC, our New Orleans siding contractors can help you carefully chose the siding that is appropriate for your home. The professionals at Lowe’s Construction, LLC are committed to providing you with the finest quality service with professionalism and attention to detail. We take great pride in taking care of each client’s needs from start to finish and are available around the clock to answer any questions you may have or clarify anything about your siding project. We are there for you throughout the entire process.